Congratulations! You have a teenager in your home. Life will never quite be the same again (of course, you already know that). But it can be better than you’ve ever dreamed. In fact, you’re just five days away from your teenager asking, “What can I do to help?” Guaranteed! With his signature wit and commonsense psychology, internationally recognized family expert and New York Times best-selling author Dr. Kevin Leman will help you. your teenager’s life. With Dr. Leman’s instinct and insight, plus an index with gutsy advice on 75 hot-button issues that keep parents up at night. Nathaniel Hawthorne masterfully grabs the imagination of children with these timeless tales of adventure based on the incomparable Greek mythological heroes' escapades. The stories included are: "The Wayside", "The Minotaurs", "The Pygmies", "The Dragon's Teeth", "Circe's Palace", "The Pomegranate Seeds", and "The Golden Fleece". Power struggles between parents and teens are nothing new, but chronic control battles are destructive to teen development as well as the entire family. According to psychotherapist Neil Brown, these battles occur as the result of self-perpetuating negative relationship patterns. Children today live in an unpredictable, disruptive, and often violent world. Many of them live in two different homes with different sets of expectations. They face bullying at school and online. They hear news of school shootings, and racially or religiously motivated violence. They may have lost a friend or a loved one. As parents, the impulse to protect our children is strong, but that very protection can end up handicapping them for life. Rather than seek to save them from the hard things, parents must teach their kids how to cope with and rise above their problems. Nearly every Christian parent in America would give anything to find a viable resource for developing within their kids a deep, dynamic faith that ""sticks"" long term. Sticky Faith delivers. Research shows that almost half of graduating high school seniors struggle deeply with their faith. Recognizing the ramifications of that statistic, the Fuller Youth Institute (FYI) conducted the “College Transition Project” in an effort to identify the relationships and best practices that can set young people on a trajectory of lifelong faith and service. Based on FYI findings, this easy-to-read guide presents both a compelling rationale and a powerful strategy to show parents how to actively encourage their children’s spiritual growth so that it will stick to them into adulthood and empower them to develop a living, lasting faith. Written by authors known for the integrity of their research and the intensity of their passion for young people, Sticky Faith is geared to spark a movement that empowers adults to develop robust and long-term faith in kids of all ages. Do you believe your struggle with anger stems from the wrong behavior you see displayed in your children? The knee-jerk reactions and blowups you're facing are often a result of a bigger set of "triggers". Some of these are external, like a child's disobedience, back talk, or selective hearing, while others are internal, like an overflowing schedule, sleep deprivation, or perhaps your own painful experiences from childhood. In Growing Up Social, Gary Chapman and Arlene Pellicane will empower you with the necessary tools to make positive changes starting today. Through stories, wit, and wisdom, you’ll discover how to take back your home from an overdependence on screens. Plus, you'll learn to teach the five A+ skills that every healthy child needs to master: affection, appreciation, anger management, apology, and attention. A must read for today's young parent! As God allows us to understand the mystery and marvel of brain science, we have the exciting opportunity to reexamine our assumptions about human behavior. Perhaps nowhere does this impact our lives more profoundly than when we think about raising children - especially teenagers. Where parents often see a sweet boy or girl who has morphed into an incomprehensible bundle of hormones and angst, what we really ought to be seeing is an amazing young adult whose brain is under heavy construction. And changing the way we see our teens will revolutionize our relationships with them. Organized by what we hear teens say - things like "I'm bored", "you just don't understand", "why are you freaking out? ", "I hate my life! 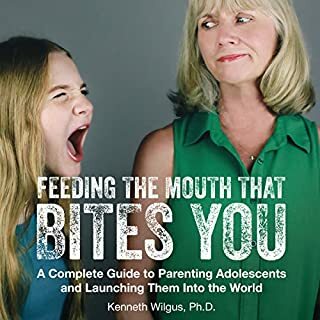 ", and "hold on...I just have to send this" - this book helps parents develop compassion for their teens and discernment in parenting them as their brains are progressively remodeled. Rather than seeing the teen years as a time to simply hold on for dear life, Dr. Jeramy and Jerusha Clark show that they can be an amazing season of cultivating creativity, self-awareness, and passion for the things that really matter. When science and Christian beliefs meet and equip me in parenting! Learned so much about the development of the brain that happens during teen years! I very much believe in science... and I also know that Christianity is supported by (and supports) science... so I love how the Clarks include faith, science, and more in this book. Only recommendation is that you put a book cover on the book if you’re reading hard copy... or try not to let your kiddo see the title. My kiddo was a little offended that I must think she’s crazy if I’m reading this book... but I guess even that is an amazing opening for good conversation! :). This book has offered amazing insights and truth to help you raise your children. I tell everyone I know who is a parent to read this book. It will change your life and it will change the life of your child. 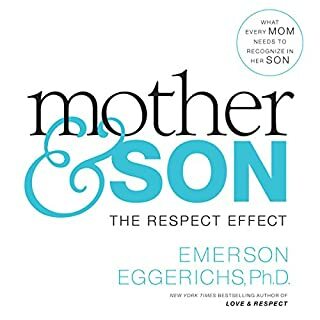 It is one of the most impactful books I have ever read, extremely helpful, extremely insightful, and extremely educational. It has brought much more peace to our home and to our family. My husband and I have become much much better parents to our children which has in turn cleared up many problems. If you do what this book teaches you will have much happier healthier children, relationships, and home. Best Teenager Parenting Book Ever! So many good parenting tips in this book complete with brain research and Biblical citations. The action steps at the end of each chapter are particularly helpful. My husband and I listened to this together and found it very helpful! 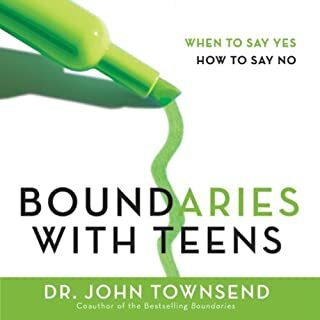 Having both parents view and having the scientific support, this book offered a great perspective on raising teens. Packed with helpful, practical insight! 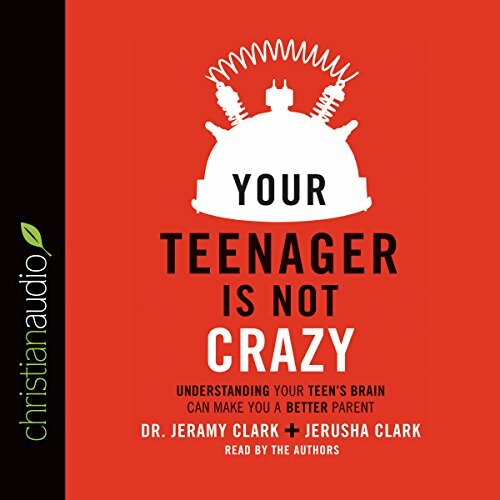 Would you listen to Your Teenager Is Not Crazy again? Why? 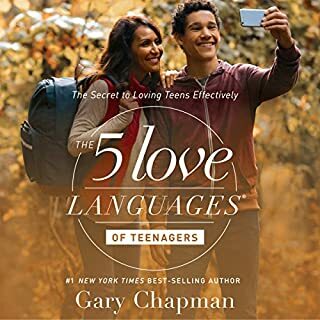 This book is filled with so much content that is both helpful and insightful for parents of teens. 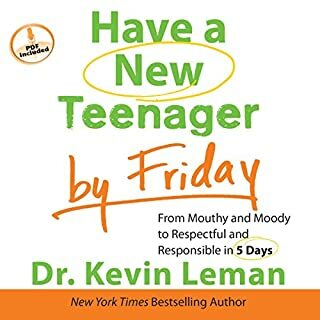 Really, anyone who works with teenagers should read it! It's backed up with lots of research and is very thorough. I highly recommend this book! I didn't realize this was a book about Christianity. The description said it was about neuroSCIENCE in teens. I found this book really helpful. It is useful in the way it is organised, by topic/ comment, although this does mean a little repetition. However, I personally found that this was quite useful in my learning. 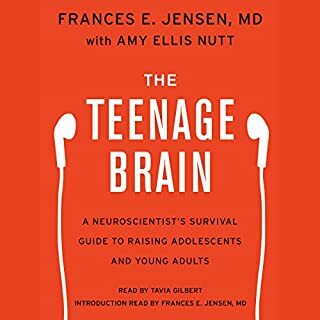 I feel like I have a much better understanding of how the brain develops during the teen years and also some really helpful tools to use and skills to try. I also found some ideas that were helpful for myself! A great book. Thank you.